It's finally Spring! That's why we want to share our easy, fresh, and healthy recipes so that you have more time to enjoy the outdoors! 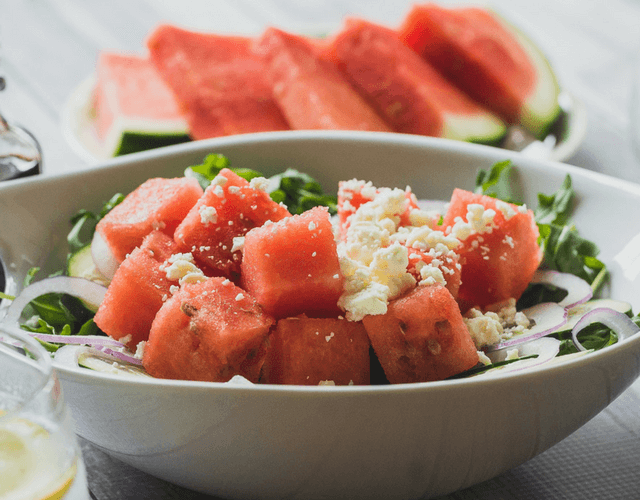 This Crisp and Fresh Watermelon Salad is the perfect warm weather recipe for those beautiful spring and summer days when you want to spend some time hanging out enjoying a picnic, sitting on the porch, or just enjoying the fresh breeze. If you're like us, you have memories of those days, biting into a big, juicy slice of watermelon during warmer months. We sure do, and we also recall having to eat them outside to avoid any drippings on the clean floor – sorry, Ma! 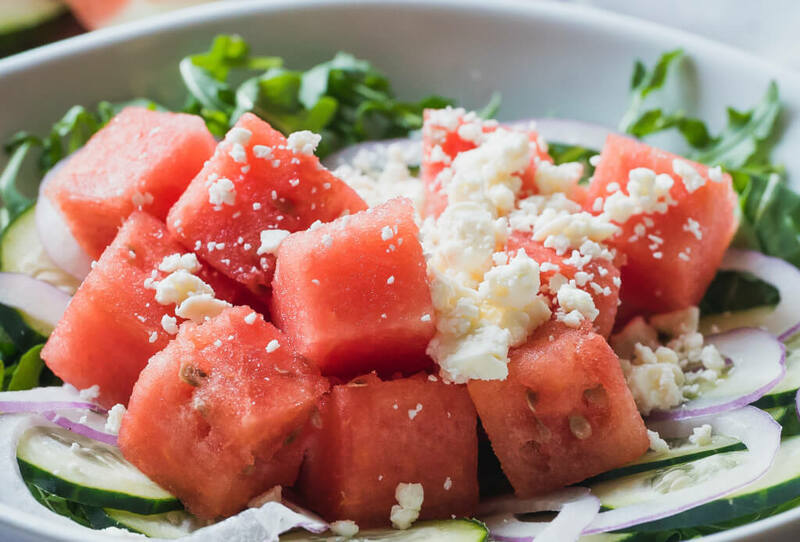 The cool thing about this Crisp and Fresh Watermelon is that it doesn't drip! Melon1, the folks that bring us this new melon, like to say 'you can even wear white' while enjoying this juicy-on-the-inside (not on the outside) watermelon. And now that it's officially watermelon season, we made this to so you can enjoy fresh melons in more than one way. 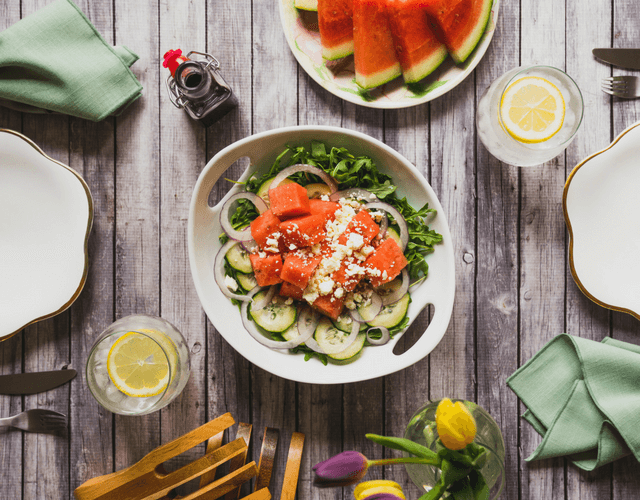 No one likes a soggy salad, which is why we chose this particular melon for this recipe. It's refreshing, crisp, and the best part is that all of the juicy watermelon flavor stays inside the fruit. Let us know in the comments if you try this recipe, or simply tag us on our social channels @farmstarliving. See how we made it! 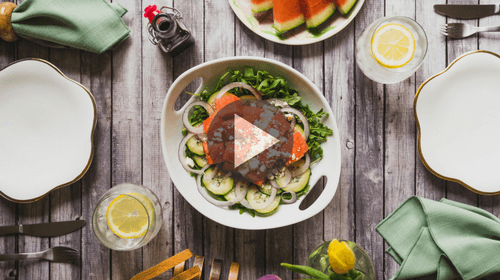 Line salad bowls with fresh arugula, and top with sliced cucumber, cucumbers, and thinly sliced red onion. 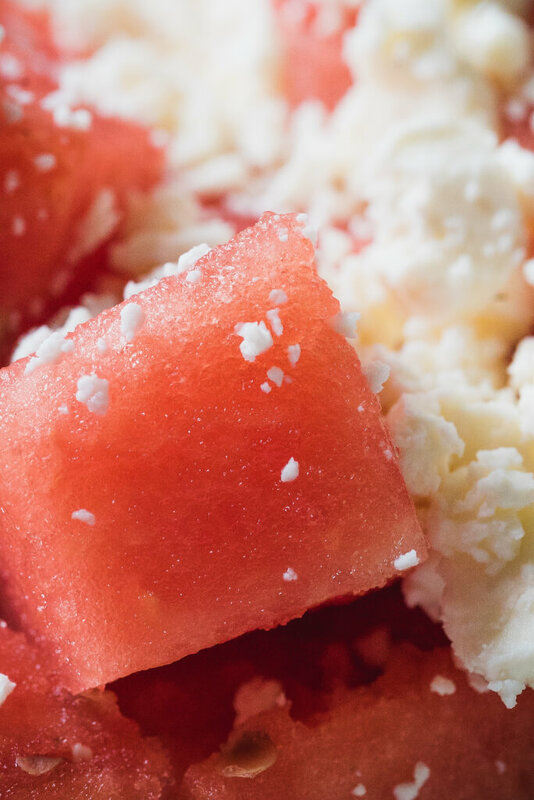 Top with Crisp and Fresh Watermelon and sprinkle with feta cheese. When ready to serve, drizzle with balsamic vinegar. Mix it up with savory options like croutons, capers, olives, or seeds. Serve immediately and enjoy!